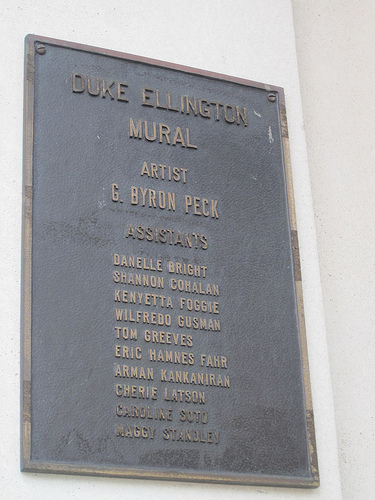 Two weeks ago, the D.C. Commission on the Arts and Humanities took the first steps in restoring the famous G. Byron Peck mural of Duke Ellington on the True Reformer Building (1200 U Street, NW) to its original condition. The artwork, which was painted on cement panels, was taken down due to elemental decay over the last eight years. 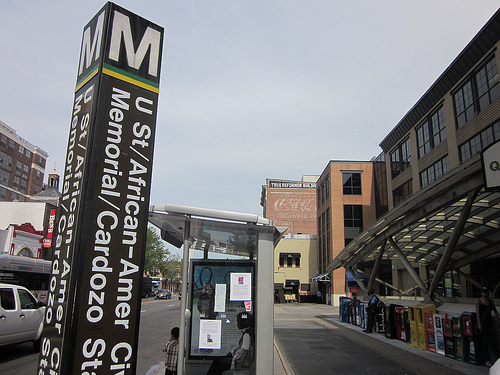 The D.C. Commission on the Arts and Humanities hired the fine arts services company, ARTEX, to remove, store and prep the mural for damage assessment. 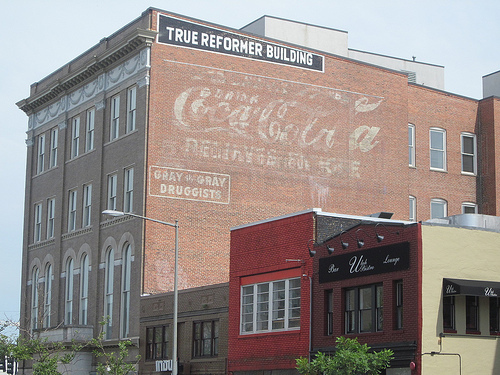 Restoration of the mural may take up to one year. 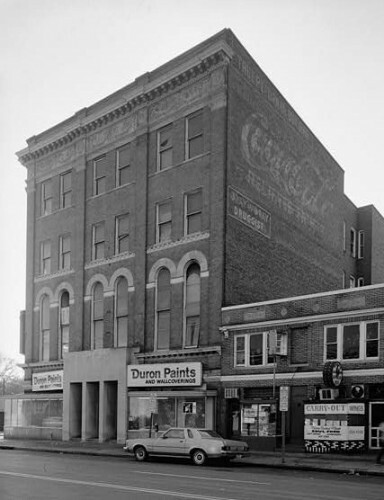 The mural was originally created and installed in 1997 on the side of Mood Indigo, an antique and vintage clothing shop, at 1214 U St., NW. 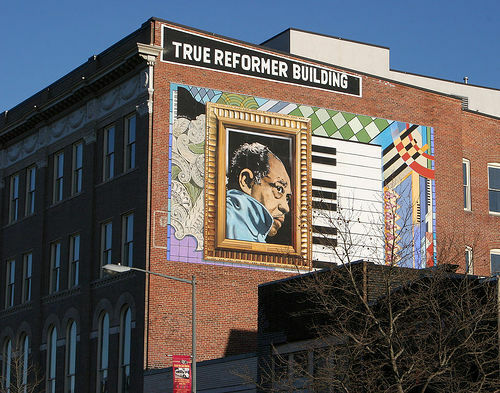 The mural was relocated in 2004 to the True Reformer Building.